Honey & Co is one of my favourite eateries in London. Since I got my hands on their Middle Eastern cookbook last year I couldn’t wait to try out some of their recipes at home. 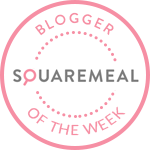 I shared the Pomegranate Molasses Chicken dish last January, which has been one of the most-read posts on my blog since. This dish is a very simple one which requires few ingredients but a long cooking time. Prepare it early afternoon for dinner or late one evening for lunch the next day. 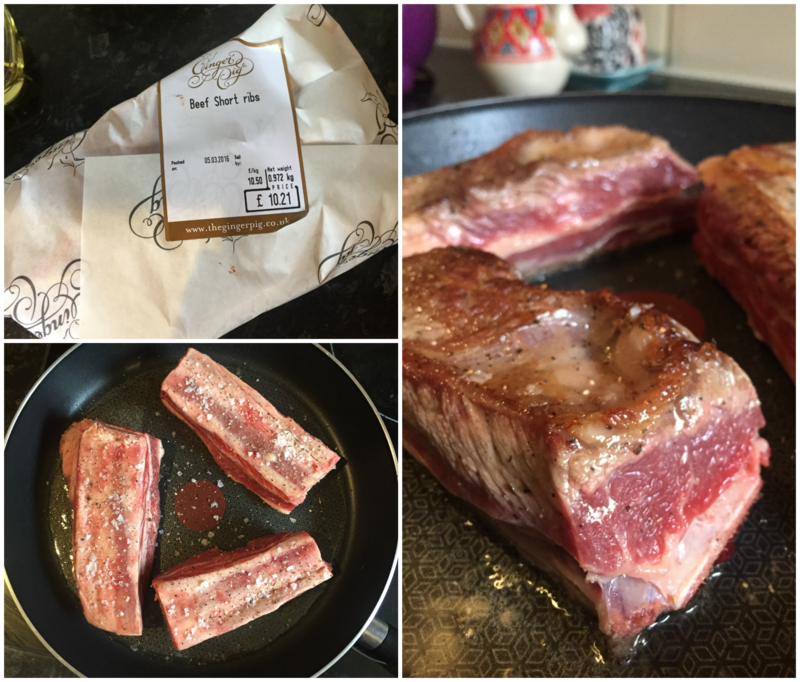 I got my hands on three short ribs, roughly 970g for £10 at The Ginger Pig butches. The remaining ingredients are cheap so you take the hit when purchasing good quality meat but when it’s so essential to the dish, it’s worth it. If you struggle to find date molasses which is used as a glaze for the meat, head to Holland & Barrett or you’re local health food store or deli. I managed to find a date syrup, which worked just as well, at As Nature Intended Ltd in Balham, South London. Heat the oil in a large frying pan on a high heat. Place the short ribs flat-side down in the pan and season with salt and pepper. Let the ribs brown on one side before turning them over to colour the other side. Peel the onions and potatoes before cutting into 6-8 wedges each. Remove the ribs from the frying plan and place into a ovenproof pot, leaving the frying pan on the heat. 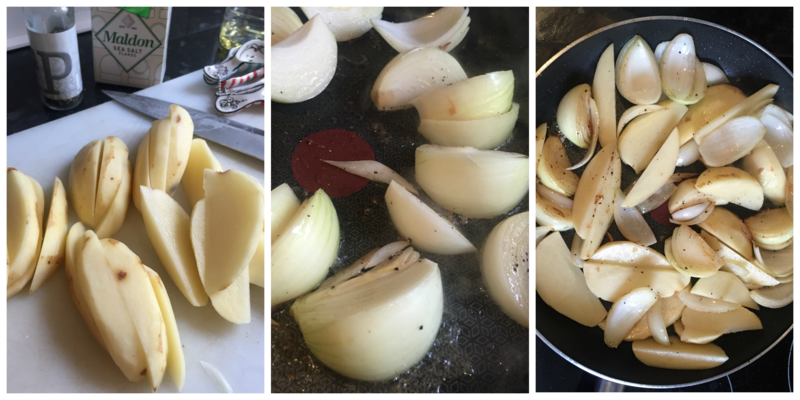 Put the onions into the frying pan and keep on a high heat, allow them to colour for 2 minutes then add the potato wedges. 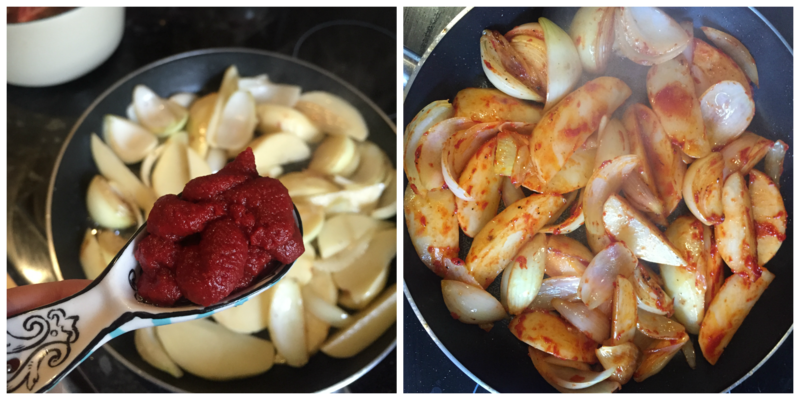 Add one tablespoon of tomato puree and stir around to coat the vegetables. Tip the contents of the frying pan into the ovenproof pot with the short rib. 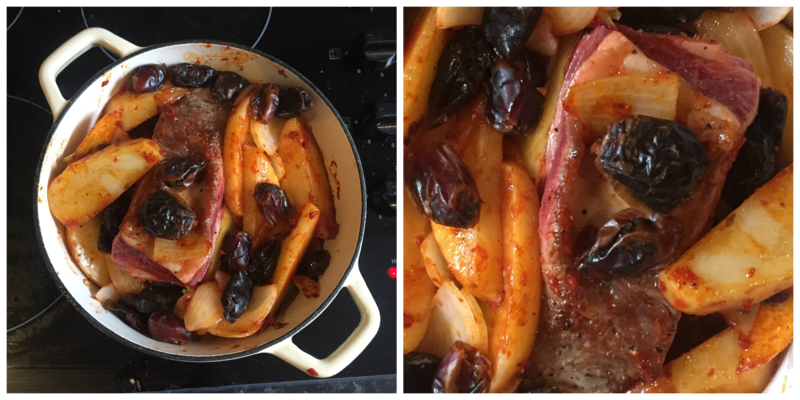 Add the water and dates then you can either simmer on the hob over a low heat for 3-4 hours or slow cook in the oven for 3-4 hours at 160°C/140°C fan/gas mark 3.  Honey & Co even suggest slow cooking the pot overnight on 150°C/130°C fan/gas mark 2. Once the potatoes have browned and caramelised, and the meat is tender and ready to fall off the bone it’s time to serve. 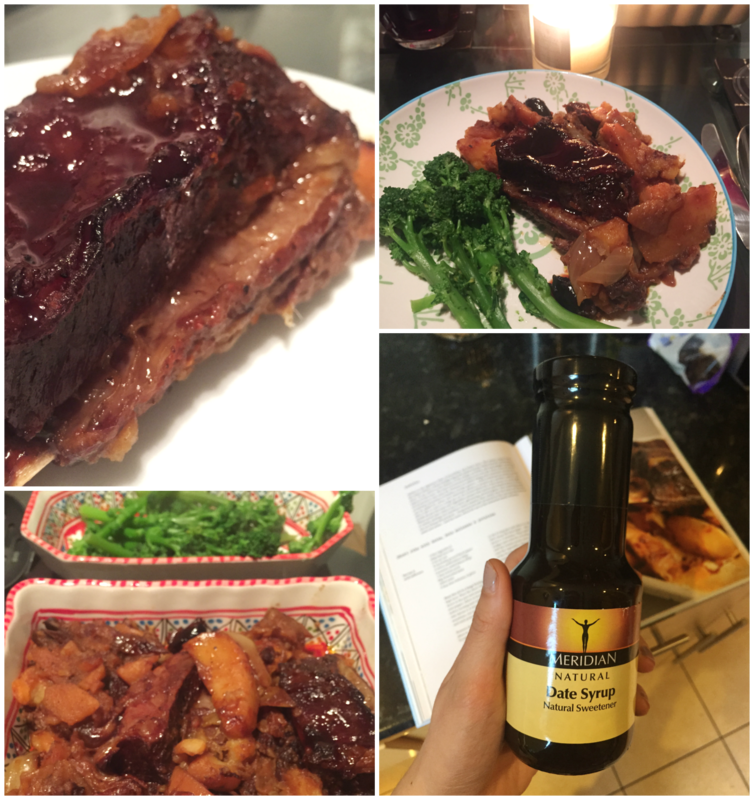 Brush the short rib with date molasses to make it shiny and sweet. Perfect. For more middle-eastern recipes from the wonderful Honey & Co you can get yourself a copy of the cookbook here.